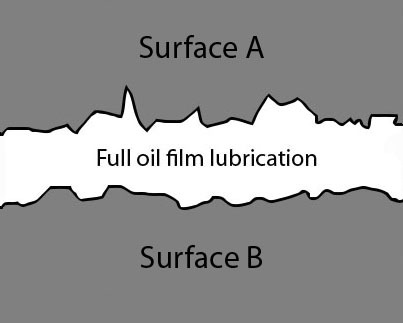 The design of oil is to produce a film of oil between two mating surfaces which gives you the best protection against wear. 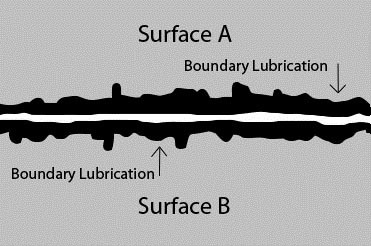 As the image below shows, oil flows, and creates a hydraulic pressure (elasto-hydrodynamic lubrication, or EHL) between the two surfaces. Now under perfect conditions this type of lubrication will not allow wear. But in reality, this is not always the case.This takes us to the next state of lubrication. 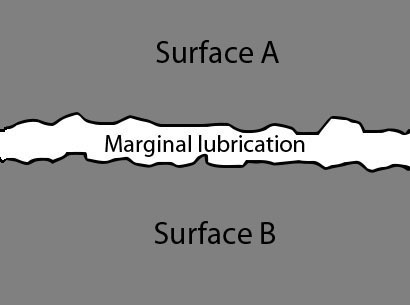 This is where lubrication is marginal. Under load conditions oil is squeezed under pressure. For example, during acceleration of an engine, you step on the gas and the engine dumps fuel, in turn the force is increased against the rod bearings, pushing (or squeezing) on the hydrodynamic oil creating a marginal lubrication condition. This is under normal use. But what happens to oil when it is under extreme pressure created by abuse or just a heavy foot? Follow me to the next state of lubrication. This is where lubrication is dependent on antiwear additives. 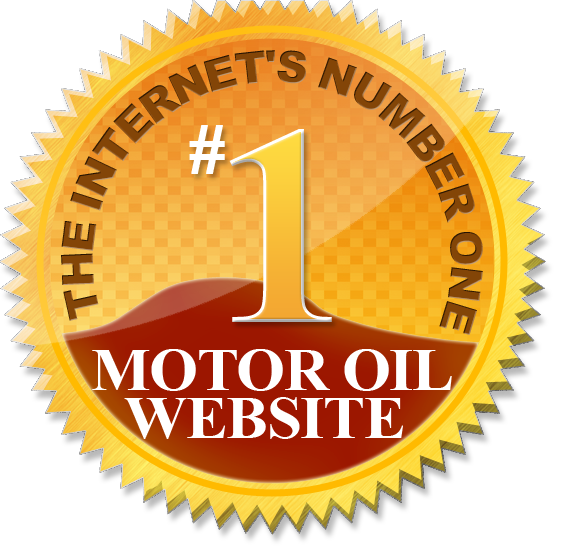 What happens here, is lubrication can be put under so much pressure, and is momentarily squeezed out to such a point that if oil didn’t have any antiwear additives, you would be metal to metal. This is the last line of defense for lubrication to protect your equipment. A common place where you see a lot of high levels of barrier lubricant is in gear lubes. Ever wonder what that rotten smell was? Yep, high levels of zinc, and phosphorus. These are the two most used antiwear wear additives used in oils today. A lot of aftermarket additives use zinc and phosphorus for extra protection. The problem is, when you overload an oil with this type of additive, your oxidation levels tend to increase, causing an attack on the base oil, which in turn can cause an increase of viscosity, (thicken the oil) .This is why it is important not to play home chemist and blend in aftermarket additives that are not designed to be in the oil to start with.